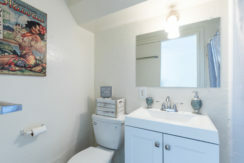 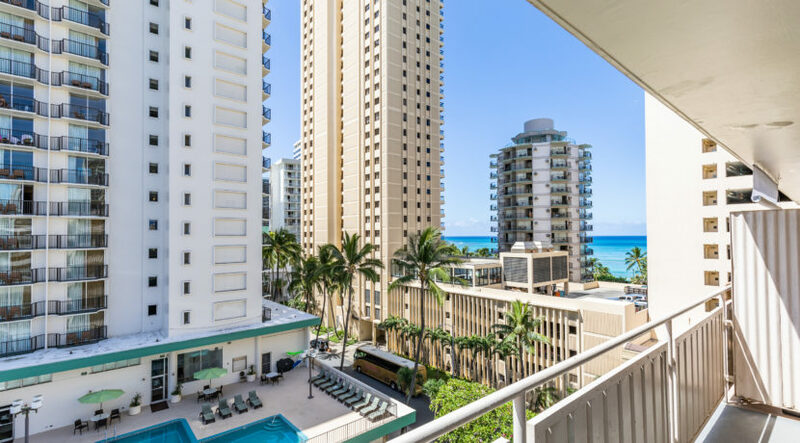 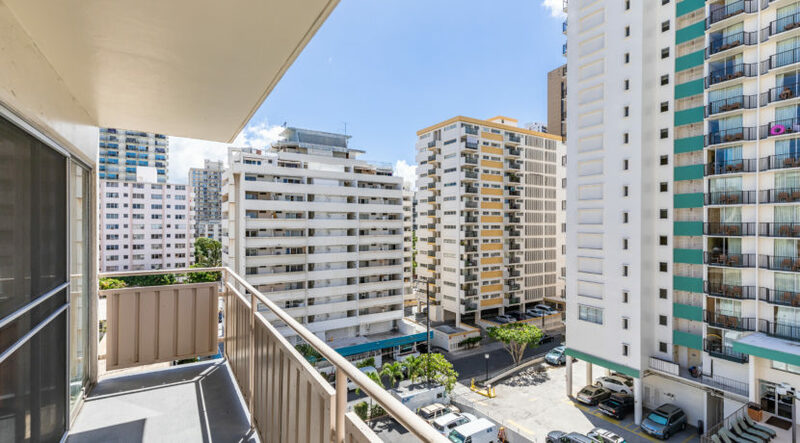 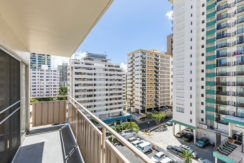 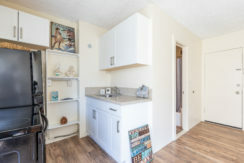 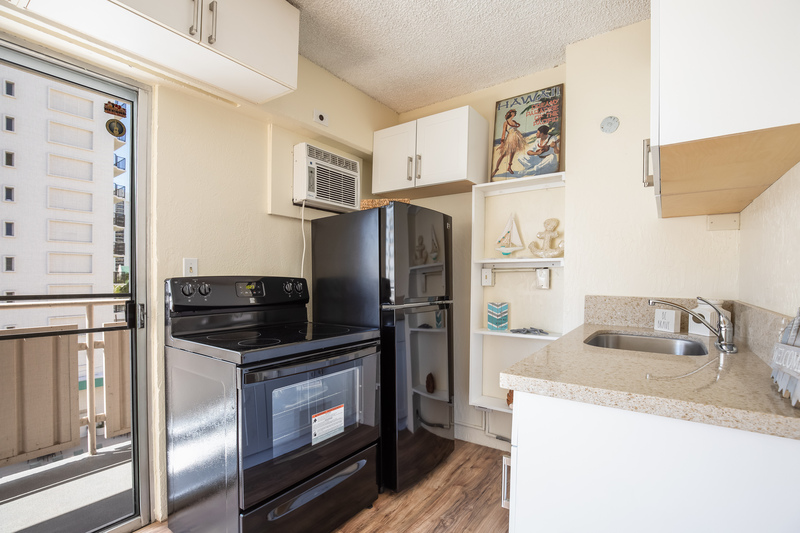 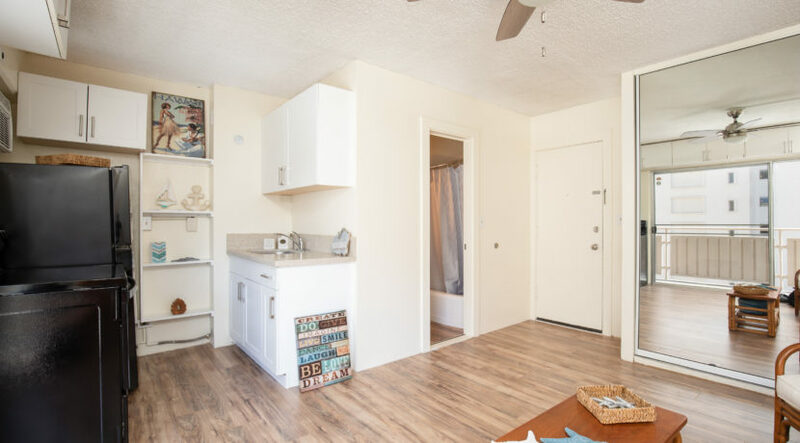 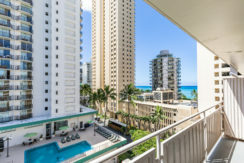 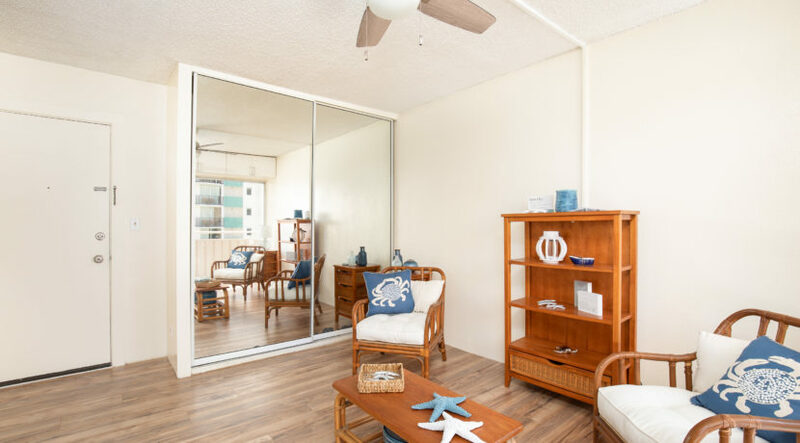 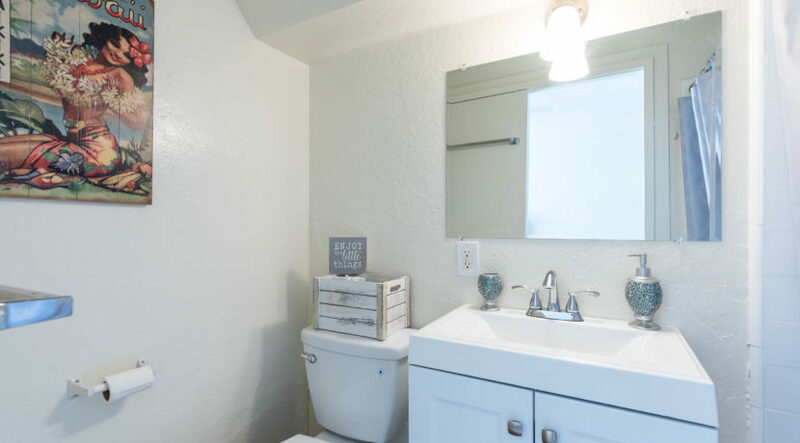 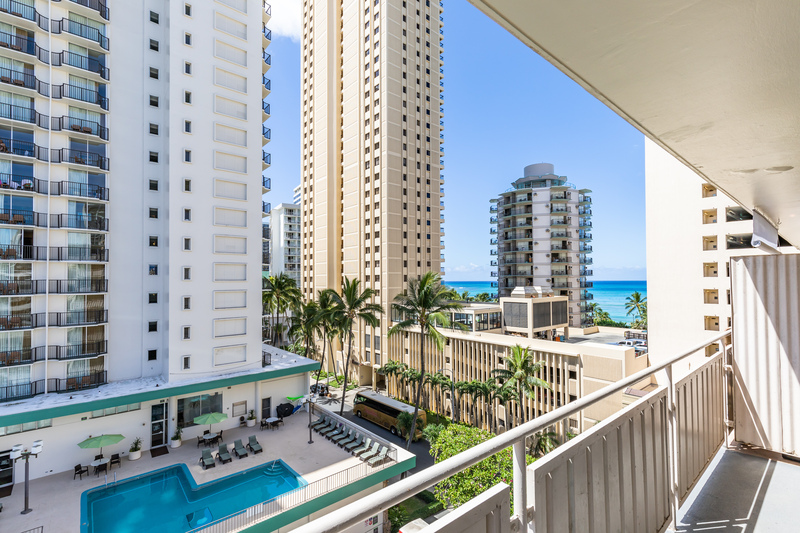 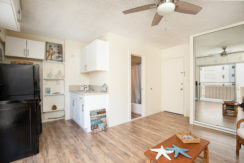 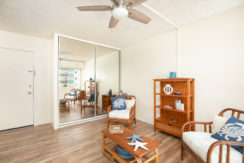 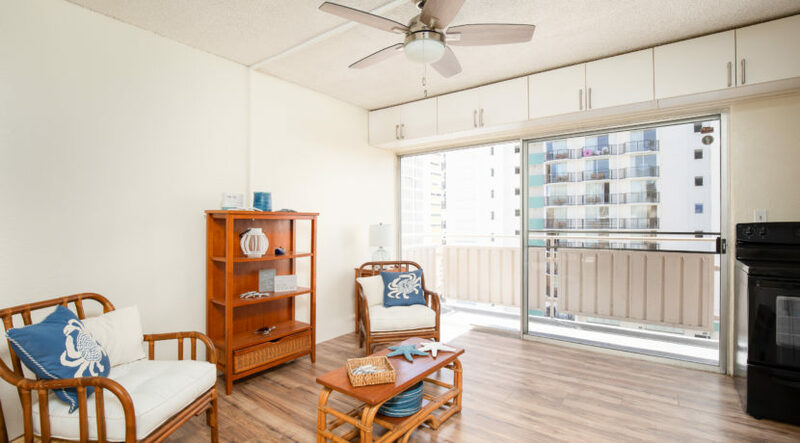 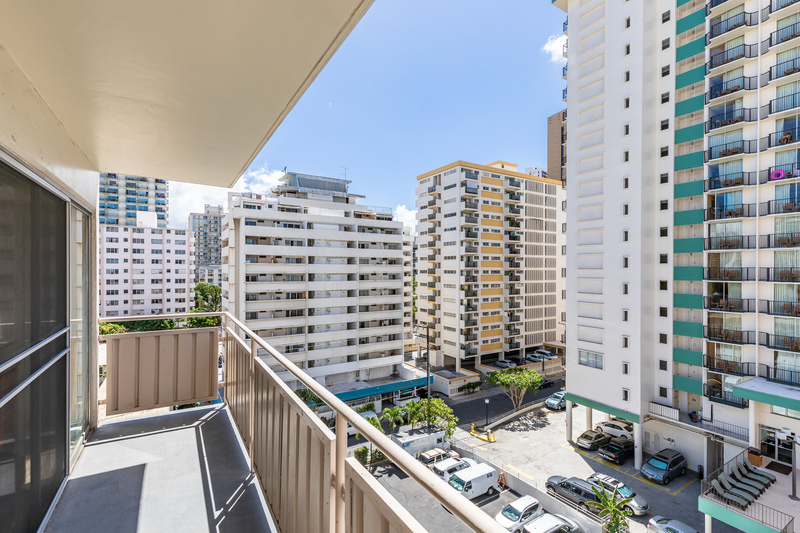 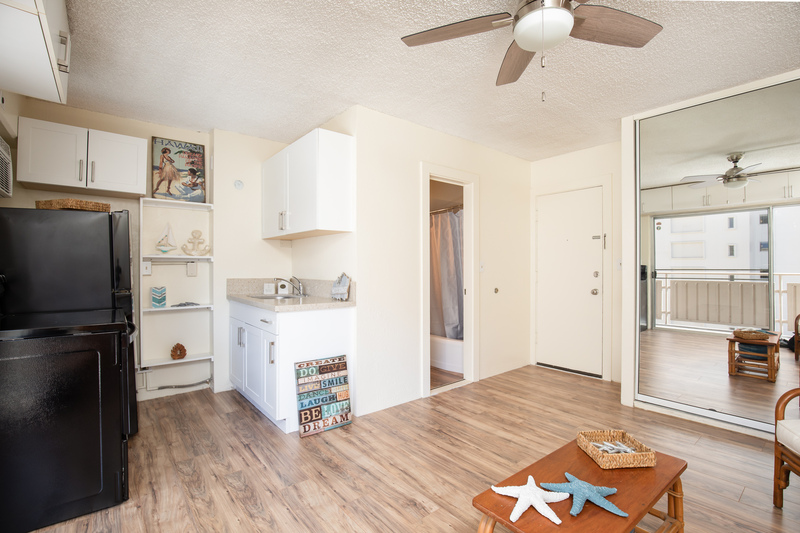 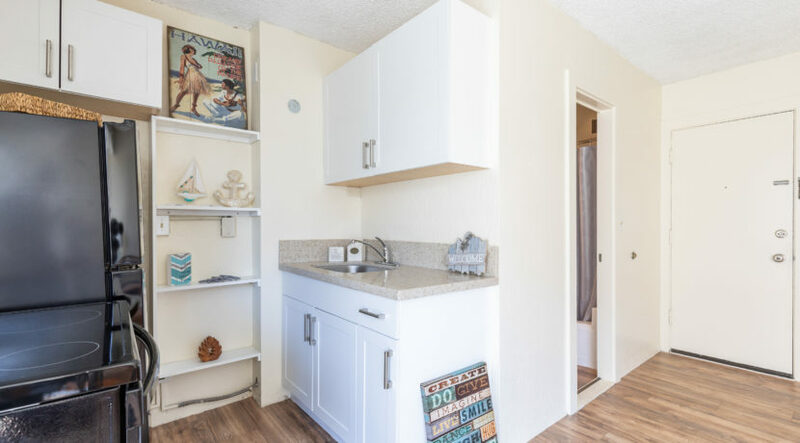 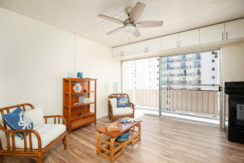 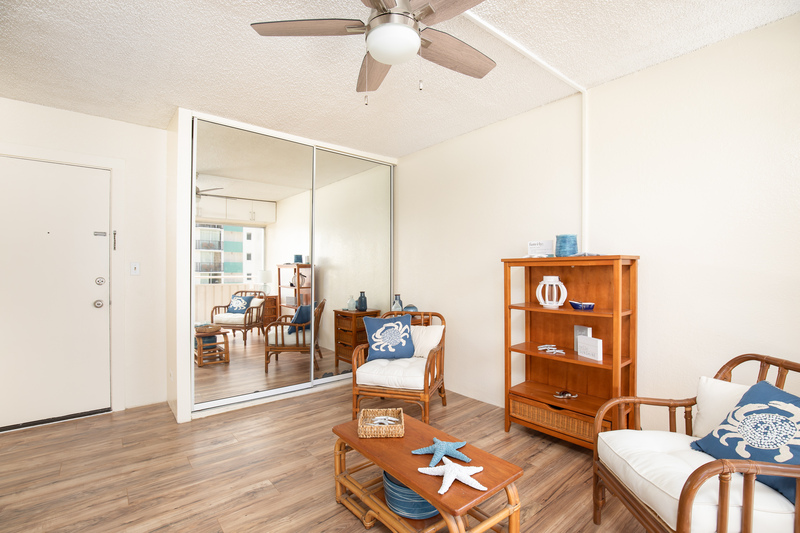 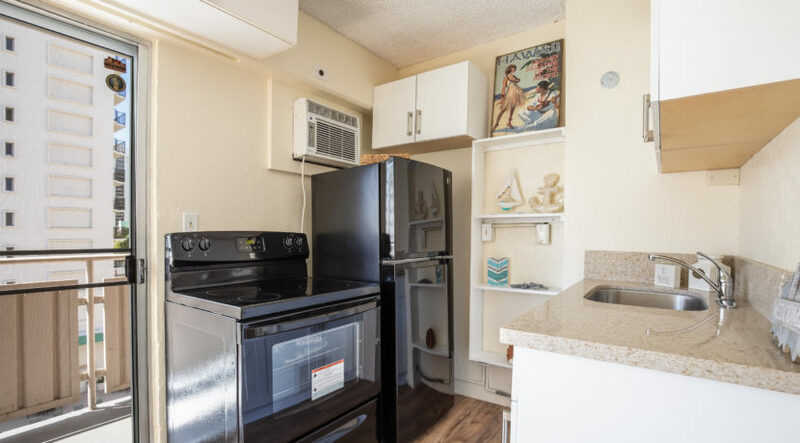 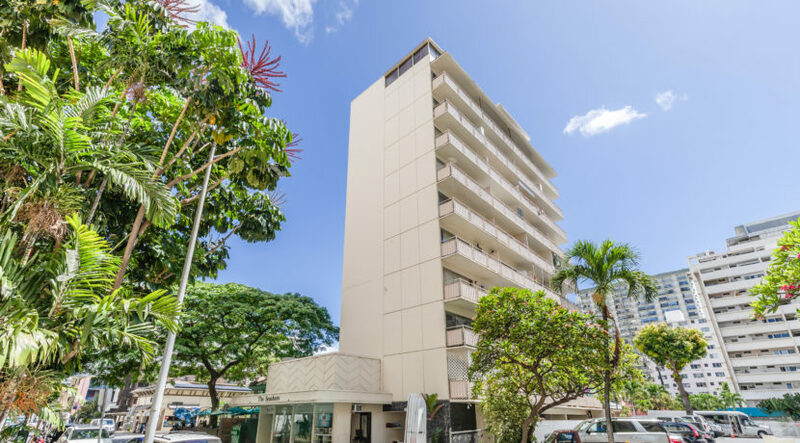 This perfectly located studio in the heart of Waikiki features an updated bathroom and kitchen with Quartz counter tops, brand new refrigerator, stove, deep sink, and storage. 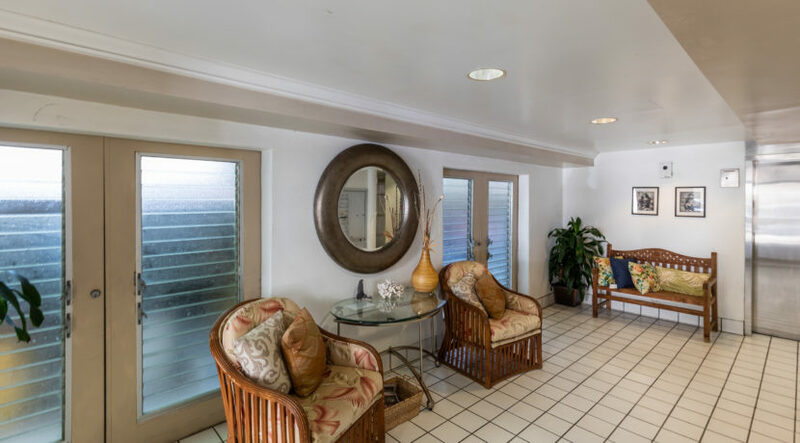 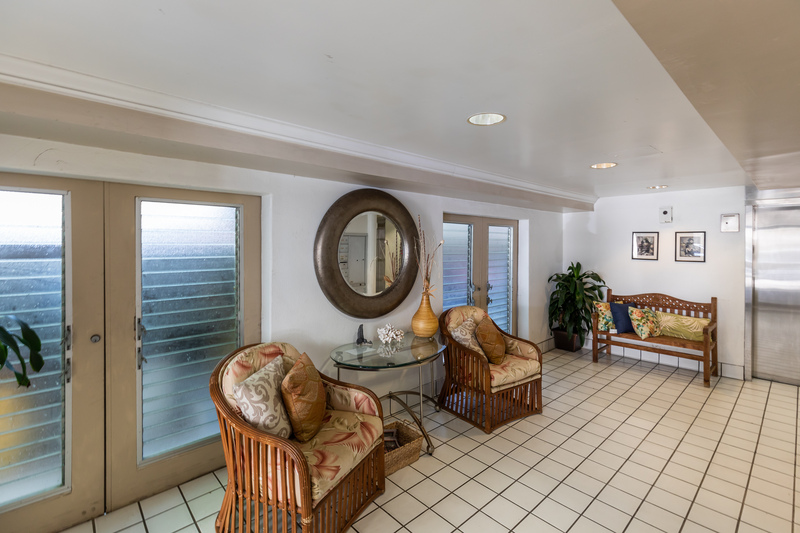 Catch beautiful ocean views from the spacious lanai. 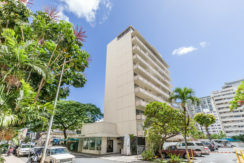 Secured building entrance and community laundry. 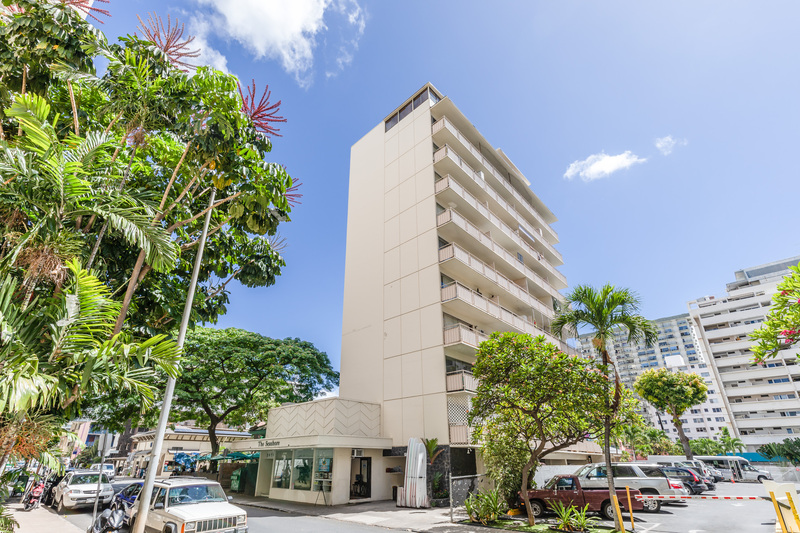 Just one block from Waikiki beach and the many different shops, restaurants, and the newly renovated International Market Place.